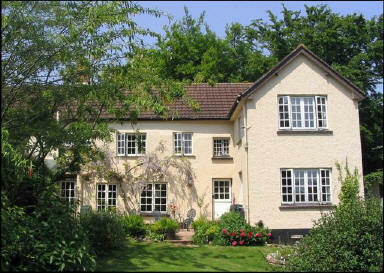 Brambles Bed and Breakfast - Tiverton - Reviews - 20130311 - Facilities very good. Brambles Bed and Breakfast - Tiverton - Review - 20130311. Facilities very good. Room only and bed and breakfast options are available. I did like the way this place is managed, nothing is too much trouble, in respect of making us feel welcome... Great place to escape the routine. Everything was excellent. Great place to stay. Always friendly and welcoming. Very appealing place to stay with reliable wifi and homely feel to rooms. Hair dryer available in room with luxurious bathroom. Tea and coffee facilities given in room with water bottles. This is my second visit and I plan to book again this year. Highly convenient just off the motorway but feels like in the heart of the countryside. Accommodation self-contained, warm and clean. Very comfortable bed. Car park adjacent to accommodation. Very adequate tea-making facilities. Complete control of central heating. Lamps turned on automatically in our room in the evening - very welcoming when returning in the dark. Host very helpful guiding us in when SatNav did not work. Exceptionally clean and comfortable, great value for money.